The BMW stand at the International Motor Show 2019 in Geneva focuses on the company’s continuing model offensive in the luxury segment and the ongoing expansion of its range of vehicles with electrified drive systems. Ladies and Gentlemen, Welcome to the BMW Group! This is what individual mobility of tomorrow looks like and we will bring it to the road – as early as this year. This stands to show that we don’t just talk the talk. Transmission Information BMW Group Press Conferences and Novelties at the 2012 Geneva Motor Show. 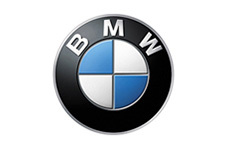 The press conferences and novelties of BMW Group and MINI at the 2012 Geneva Motor Show (06.03.2012) will be transmitted Europe-wide via satellite. Driving pleasure, emotion, captivating design, premium quality and groundbreaking efficiency characterize the model range which keeps the BMW brand on track for success in 2012. The latest in BMW technology was featured at the 2011 Geneva Auto Show. The future has already begun. At the 2011 International Motor Show in Geneva the concept vehicle BMW Vision ConnectedDrive will make its world debut from 3rd to 13th of March 2011. BMW at the 81st Geneva Motor Show 2011. World premiere at Geneva Motorshow: The new BMW Concept 5 Series ActiveHybrid. Parallel to the world debut of the new BMW 5 Series Sedan at the 2010 Geneva Motor Show, BMW is also presenting the concept of a future-oriented full-hybrid model in the upper midrange segment: The BMW Concept 5 Series ActiveHybrid. BMW M6 Gran Coupe. Exterior design.